Make use of our list of bicycling resources in Buncombe County and beyond! Asheville on Bikes cultivates the culture of urban and commuter cycling through advocacy & celebration. We believe that cycling has a direct impact on the health of our community. The mission of the Blue Ridge Bicycle Club is to promote healthy and fun lifestyles through cycling in Western North Carolina. BRBC accomplishes this by: providing education and cycling opportunities, working with health and fitness organizations, existing organizations on their cycling programs, and governments on transportation planning, and developing new cycling programs. Bicycling and walking are rapidly becoming realistic modes of transportation as traffic congestion and environmental concern become more evident. Sidewalks, bike lanes, and bike paths play an important role in providing transportation choices for people across Asheville. The city can be a great place for bicycling and walking. In addition to a mild climate, it has the ingredients that make walking and bicycling attractive to people for trips like commuting, shopping, and recreation. The purpose of the city’s Bicycle and Pedestrian Services is to increase bicycle and walking opportunities to all residents - young, old and individuals with special needs. By improving bicycling and walking conditions, it helps everyone lead safe, active and healthy lives. Our vision is to inspire people to get out of their cars and onto the street. The Asheville Bicycle/Pedestrian Task Force is a citizen’s advisory committee to the City of Asheville. They work closely with city and metropolitan planning staff to give input on the needs of bicyclists and pedestrians. Their vision is to create, "A community of connected pathways that is healthy, safe and accessible for all ages." and their mission is to: To educate the public about bicycle and pedestrian transportation,to advocate for the development and maintenance of safe, convenient and inter-connected facilities, and to promote the benefits of walking and bicycling for individual and community health. Use the app to report a bicycling related comment, concern, or question. 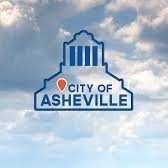 Visit the City of Asheville's web based Asheville App or download the app to your phone from the iTunes store or Google Play. Teaching Bicycling Skills and Building Confidence to Ride: Education has been a core activity of the League’s since the 1970’s. Virtually every state and local bicycling education program can trace its roots directly back to the League’s program. This core content is designed to reach people of all ages and abilities, improving skills, building confidence, and teaching others. While CyclingSavvy inevitably teaches some of the same essential traffic cycling principles and skills as other cycling courses, it was not based on any existing curriculum. Nor was it based on the original Effective Cycling course (from which League’s TS101 was derived). CyclingSavvy was built entirely new “from the ground up.” It is built upon an understanding of the needs of adult learners and the challenges of changing behavior that is strongly rooted in our traffic culture. Much of the content in the CyclingSavvy curriculum is completely original. Traditional content is framed and delivered in unique ways to maximize the learning process. BikeWalk NC’s education mission is to provide high quality information that is relevant to local conditions in North Carolina. Knowledge empowers pedestrians and bicyclists to use our transportation system more successfully and to be effective advocates for positive change. Knowledge is also essential for transportation planners and police to support the travel of pedestrians and bicyclists. The goal of Trips For Kids WNC is to provide mountain bike outings and environmental education for kids who would not otherwise be exposed to such activities. Trips For Kids WNC has provided bikes and outings to over 2,000 kids since launching their program, and they look forward to offering our services to many more in the future. Asheville Transit’s policy is to support and promote the use of bicycles as an alternative and sustainable transportation option. Asheville Transit allows bicycles to travel on buses at no extra charge, and provides the greatest flexibility possible within the constraints of capacity and safety. Asheville Transit buses are equipped with bicycle racks to hold from two to three bicycles. If the racks are full, two additional bicycles are allowed inside the bus, depending on passenger and wheelchair loads. Only singlerider, two-wheel bicycles are permitted on the bus bicycle racks or in the bus. No motor, tandem or three wheel bicycles are allowed. There is no age limit for riders using the bicycle racks or bringing bicycles on board the bus. Riders must be able to load and unload their bicycles, both on the bicycle racks and also on the bus. Bicycle crashes are not bike accidents. Lawyers in the Bike Law Network have handled thousands of them and we know the difference. Bike Law is not a law firm, but a network of independent lawyers and law firms who share a common approach to the law and to helping cyclists. Attorney Ann Groninger, founder of Bike Law, wrote the "Ride Guide (BLB #1: North Carolina Bicycle Laws)" that can be viewed below or downloaded here: Ride Guide NC.